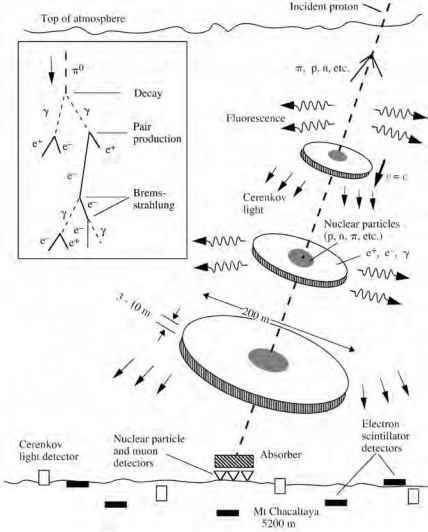 The flux of radiation arriving from a distant point (unresolved) source may be described with the spectral flux density S(v, t) (W m-2 Hz-1) which gives the flux as a function of frequency v and time t. Integration of S over the frequency interval of the detector yields the flux density (W/m2). In turn, integration of over the antenna area yields the detected power P (W), and similarly, integration of P over the time interval of the observation yields the fluence S" (J). If the source is assumed to radiate isotropically with flux F'(r) at distance r, its luminosity L (W) is simply 4nr2 &. Optical astronomers traditionally describe flux densities with a historical logarithmic magnitude scale where the brightest stars have magnitude zero and the faintest the human eye can see is 6. Magnitudes are defined for different spectral bands. Bolometric magnitude describes the flux over the entire optical band (extending into the IR and UV). Absolute magnitude is a measure of luminosity; it is magnitude adjusted for distance to the source. Celestial objects with measurable angular sizes are called resolved or diffuse sources. The flux is described completely with specific intensity I(v,0,0,t) (W m-2 Hz-1 sr-1) which describes the variation of flux with position 0,0 on the sky. Integration of I over the solid angle of a source yields the above-mentioned spectral flux density S. Surface brightness B(v,0,0,t) (W m-2 Hz-1 sr-1) describes the radiation leaving the surface of a celestial body. It can be shown to be identically equal to the detected specific intensity, B = I, a general relation that follows from Liouville's theorem. Looking into the source itself, the power generated per cubic meter is the volume emissivity j (W m-3 Hz-1). For an optically thin source of known thickness along the line of sight, it is quite simply related to the specific intensity a distant observer would measure.